This clinic was designed with a warm neutral color palette, and enhanced with a variety of textures and cues to nature including stone, wood and privacy panels adorned with natural grasses. 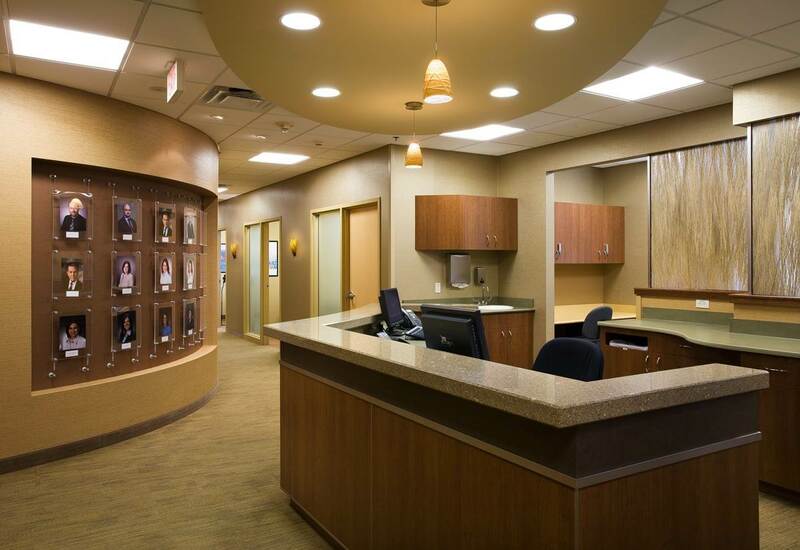 Gentle curves are found in the ceiling soffits and carpet patterns to carefully move patients through the space. The reception and waiting areas are separated by a gas fireplace which serves as a focal point while providing a unique separation between the two functions. 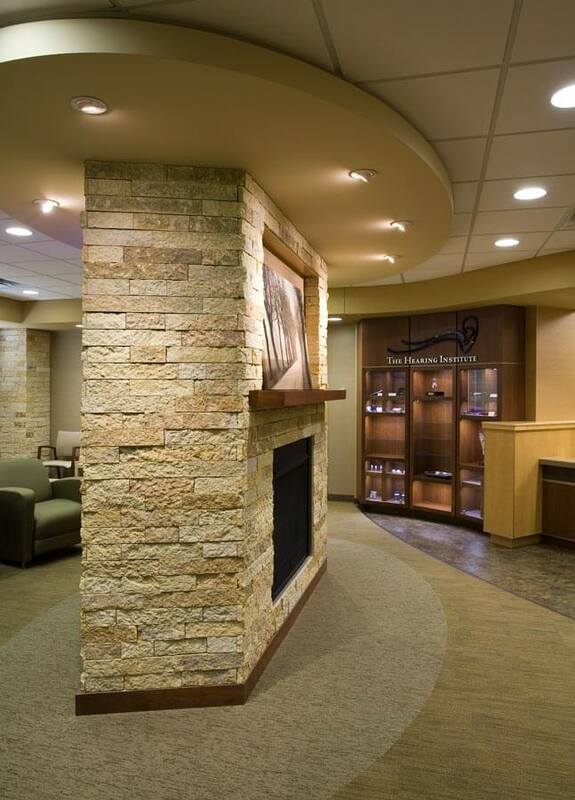 Custom casework in the waiting area displays products sold at the clinic through The Hearing Institute. 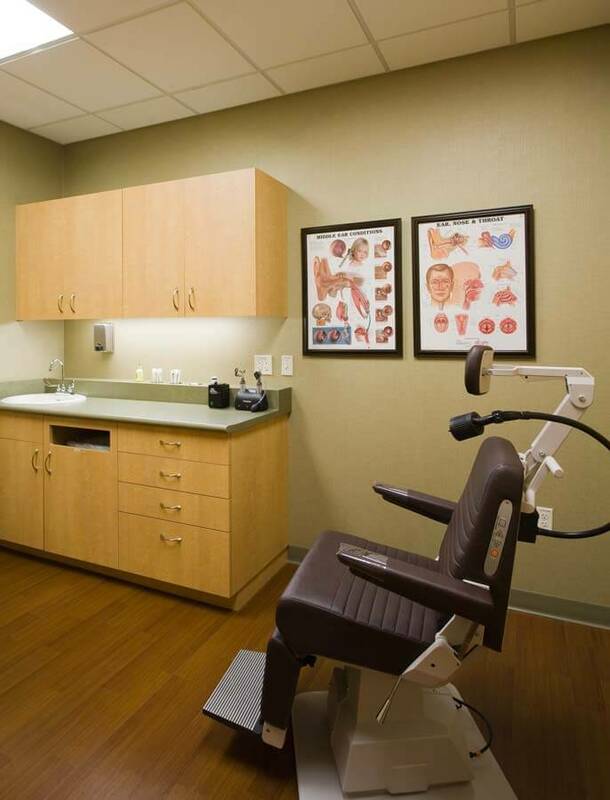 The exam area is highlighted by a curved physicians wall, and centrally located nurse station which makes it possible for nurses and physicians to oversee all patient room from one location. 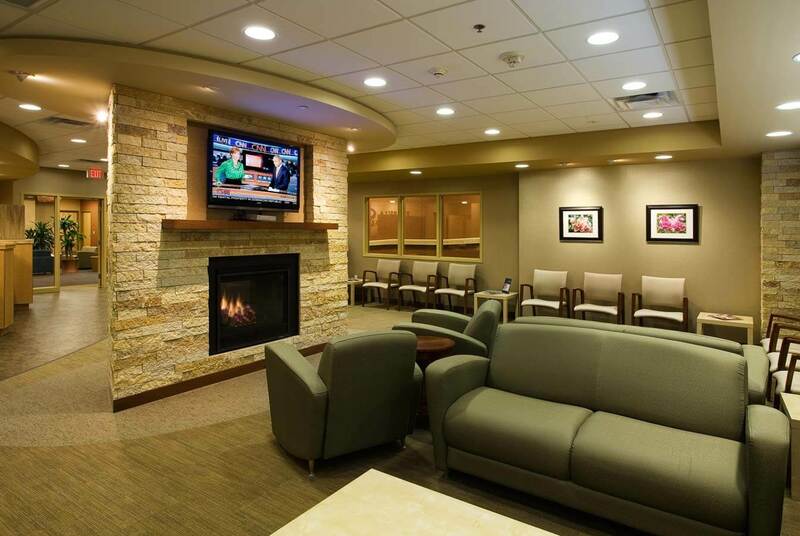 Patients appreciate the warm, quiet and comforting surroundings that they experience when visiting this clinic.